In the two weeks since I reported, there’s been lots of sewing, but also some buying. I got three and a quarter yards of burgundy and gray fabric at Patchwork Plus, Dayton, VA, while we were visiting over the Thanksgiving holiday. I used most of that up in the 54″ x 72″ commissioned quilt I made. It took seven and a half yards, and the coaster sets took a quarter yard. 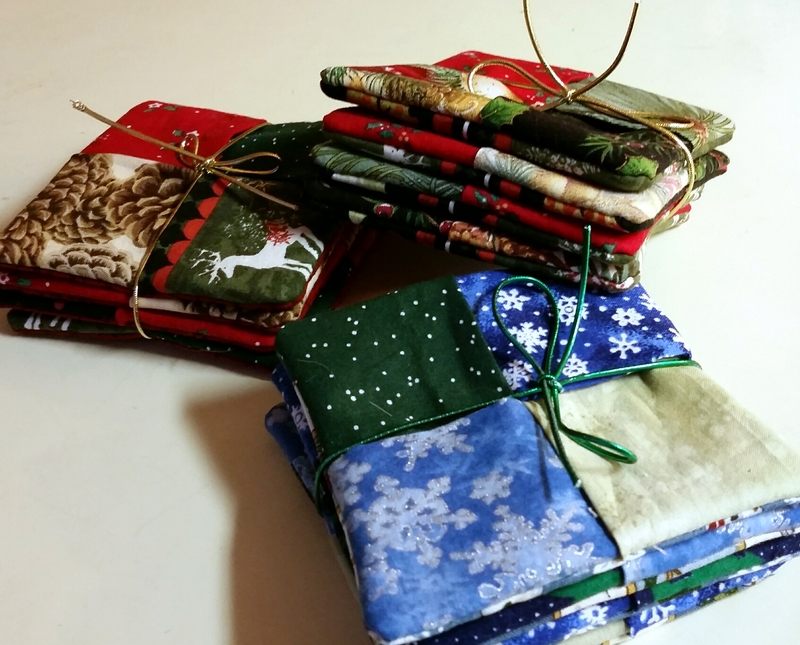 Well, forty is getting close to my goal of destashing fifty yards this year, right? I’ll make it. 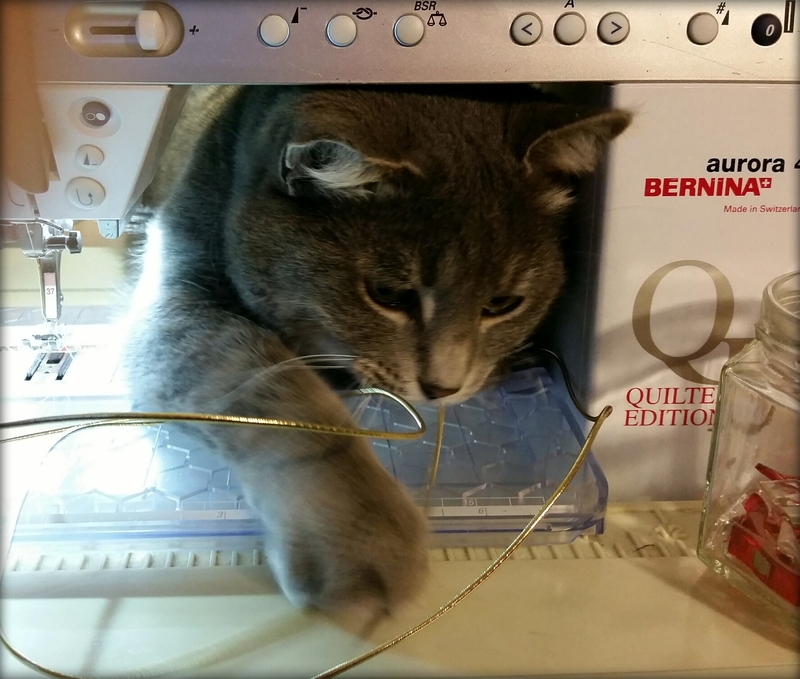 Hope you’re sewing, and that you have good help! We’re linking up to Judy’s report at Patchwork Times. Yes! You will make it! How thrilling to be so close. Congrats on your stash usage for the year. And good luck working with (around?) your little helper. Lucky you to have such a cute kitty to be your companion.